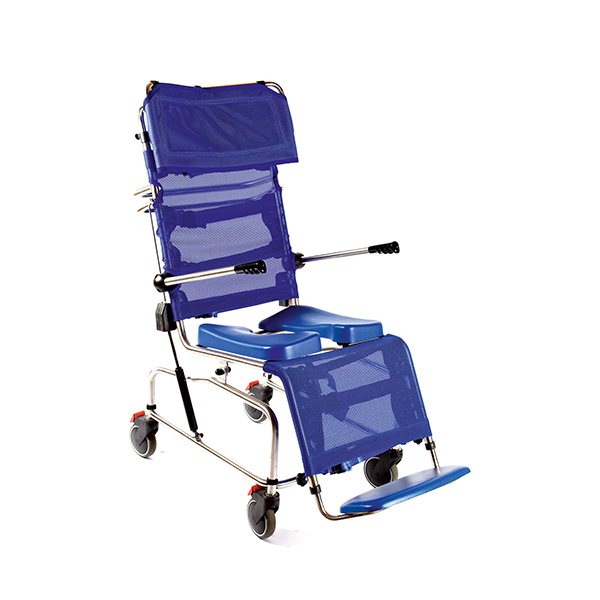 The Adult Tilt in Space Shower Chair facilitates excellent client posture management. It comes as an option of Vinyl or mesh backrest. Its adjustable tension mesh fabric aids posture management, drains well and can be easily removed & washed at up to 95°c.